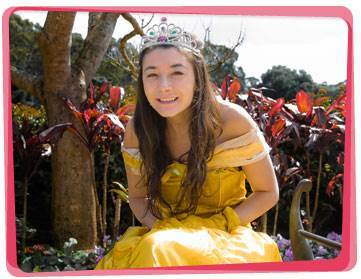 Make your party a real fairytale with the help of one of our beautiful princesses in Sydney! 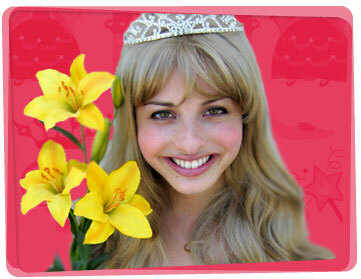 Play with one of our Princesses at your next kid’s birthday party and live like them for a day. Our Sydney princess for hire will create an enchanted day full of sweet delight and grace. 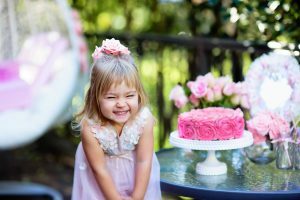 Some of the wonderful themed party ideas your guests will be spoilt with include a magic show, games (including pass the parcel), face painting, a treasure hunt, twisted balloon art, washable tattoos and other wonderful princess party ideas. We love our work and have been lucky enough to perform at all sorts of events. So if you need a quick spell to turn that dull event into something magical, our Yabadoo princess for hire in Sydney are available to work their wonder on your special occasion. Whatever it may be! In need of a princess party game idea to play whilst your entertainer has not arrived yet? Gather two sets of prince/princess outfits: an oversized shirt (pink for girls, blue for boys), crown, scepter, and long socks. Put each set on a table and position it at the finish line. Divide the group into two teams. The first player of each team runs to the table, puts on the outfit, and runs back to the line. He/she tags the next player, and they run towards the table together. The second player helps the first player remove his/her outfit, then the first player helps the second player wear it. They run back towards the starting line together, then the second player tags the third player, and so on. A party is not a princess party without crowns. Luckily for us parents, there is a way to create crowns that look more expensive than what it actually costs! Create the tips of the crown by cutting out steep triangles on one side of the toilet paper roll. Apply Mod Podge on the outer part. Don’t miss a spot! Sprinkle glitter all over the toilet paper roll. Once you’ve covered everything, apply another coat of Mod Podge to seal it. This prevents the glitters from coming off. 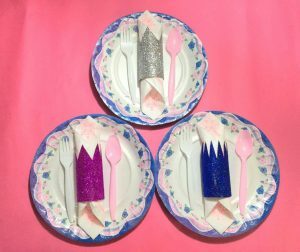 Then, insert the table napkin into your glittered crown napkin holder. You will make your princess guests feel like royalty without spending so much money! Find more princess party decorations at The Base Warehouse – Shop 3, 40-48 The Entrance Road, The Entrance NSW 2261.